CODECARD.LT (ATOMIS company) has introduced the possibility to update CarProg clone to be legal. 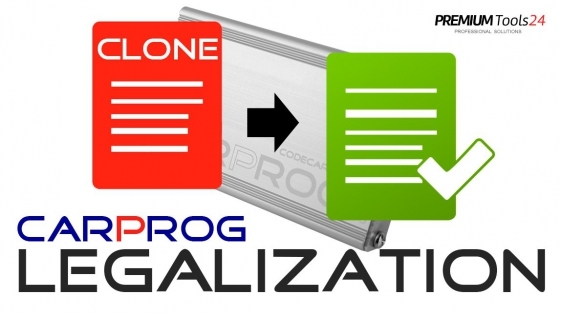 We are offering you LEGALIZATION for the software only ! Run CarprogLegalize.exe and enter SPECIAL ORDER NUMBER you will receive from us after shopping ( up to 1 business day ) and press 'Legalize CarProg' button. Congratulations! Now you are legal CarProg user ! 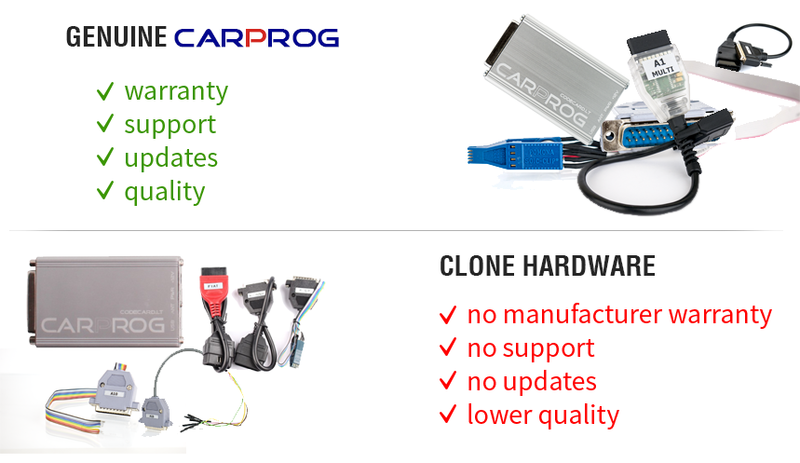 - Codecard is not responsible for the technical issues related to CarProg clone hardware. 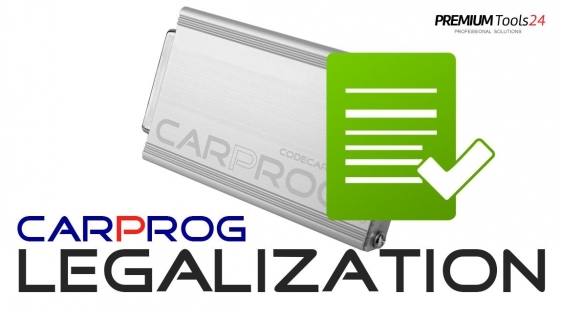 We offer legalization for the CarProg BASIC, AIRBAG, IMMO, DASH, FULL but in our store you will find only one offer for the CarProg FULL. Why? Please read the following Pros and Cons. If you compare the cost of legalization and the cost of the new CarProg with software and adapters. Buying a new genuine CarProg seems to be more reasonable. If you are still interested in clon legalization, do not hesitate to contact us. We will prepare an offer for you.